Our 750ml (full-size) Bordeaux wine bottles are availbale in dark green, clear, frosted and cobalt blue. 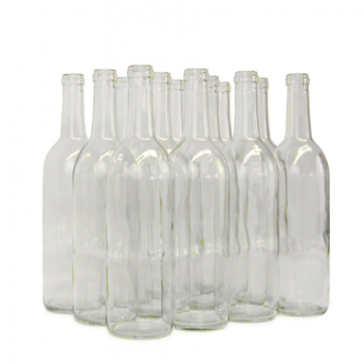 These are perfect for storing any wine and sharing with friends and family. White wines generally are stored in clear bottles.